It's no secret that the majority of engaged couples opt for engagement photos or pre-wedding styled photoshoots. It's the perfect way to capture their "just engaged" glow and to get a few awesome photos for their save the dates, wedding website or to display on their wedding day. 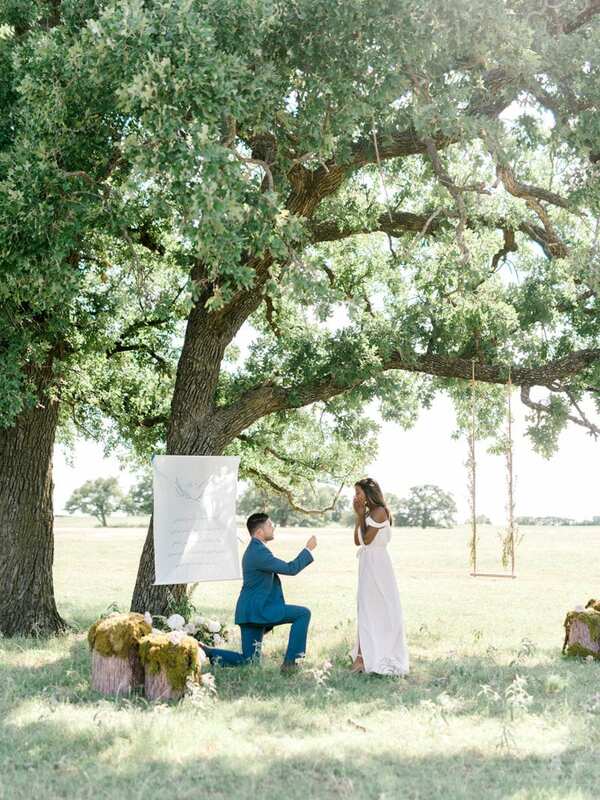 A stunning backdrop and golden hour lighting are both two key ingredients for the optimal engagement shoot photos but here are a few examples how how to customize your photoshoot to fit the two of you. 1. Soon To Be Mrs. 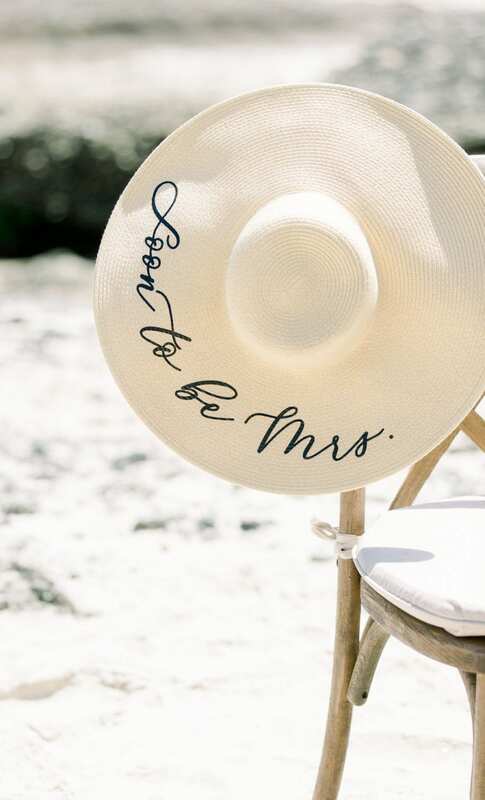 Props - One of our favorite finds is the custom MRS. sun hat. Not only is it practical for the honeymoon but also add a touch of personalization to any shoot. There are so many cute MRS. gear these days but a classy, adorable sun hat is at the top of the list. 2. Custom Signage - have a calligraphy sign created with your favorite verse, lyrics, or relationship quote for a memorable backdrop. The best part? It's something you can keep and hang in your home. 3. Marry Me? Box Socks - I know we are biased but for men, their socks exude personality. For a special occasion like an engagement shoot or wedding day, a can rock these uniquely designed "Marry Me?" socks . Find your pocket socks and style here. 4. Customized Drinkware - Here's a toast to you and your fiancee! Bring along a pair of monogramed wine glasses, coffee mugs or copper mugs for those tasty moscow mules. A small prop like a mug can go a long ways in an up close shot of you and your person. Cheers! 5. Cozy Props - A monogram blanket will give you all the warm fuzzy feelings during your photoshoot. Whether you cuddle up in it or lay it out for a picnic, it's an easy way to customize your photos while you hold each other close and snuggle up. What do you think?! Pretty easy yet cute ways to add a little something something to your photo shoot.